Amazon has 31,817 books about supply chain and 24,934 about logistics. That’s 56,751 supply chain and logistics books. All those books would weigh 49,000 kilograms – half the cargo mass of a Boeing 747-200F. Stacked, those books would be as tall as 10.7 Empire State Buildings. But we got it down to ten logistics and supply chain books you’ll actually want to read. Keep reading to see them. There are hundreds of lists online that claim to be able to tell you what the best logistics and supply chain books are. What makes this different? I actually used this list. When I started in logistics, I realized that I knew nothing. So I made a list of logistics books that seemed like they could educate without putting me to sleep. I think you’ll like the list too. I threw in a healthy dose of interesting (globalization, shipping trends and the business of logistics), a dash of history (the evolution of longitude), a sprinkle of next generation manufacturing (lean manufacturing) and some great company success stories (FedEx, Walmart. Got some suggestions? I’d love to hear them. Share them below! Why this books rocks: The author actually took a cruise on a Maersk ship. While she really only focuses on ocean shipping, she drives home the economies of scale and the role that gigantic container ships play in driving global commerce. There is a nice focus on piracy, who mans the ships and the dangers the personnel face. Read if you’re interested in: The nitty gritty details behind ocean shipping, together with the behind-the-scene details that are not often revealed by the spanning ocean industry. 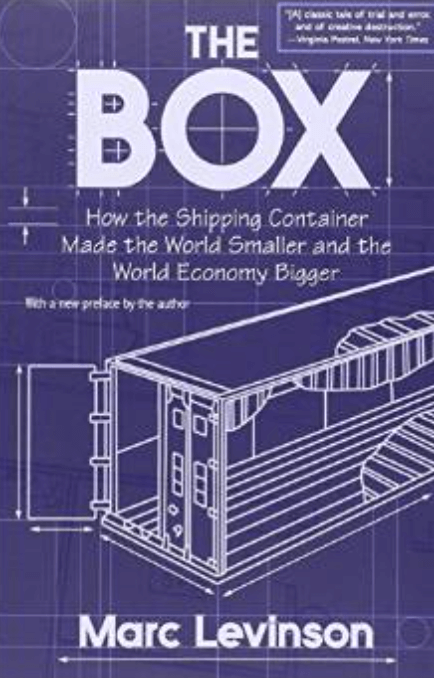 Why this book rocks: Before you read this, you may not understand how a simple box that can be loaded off a ship and onto a truck or train literally changes the way the world operates. From an inefficient game of Tetris to global industries that move $19 trillion dollars of goods annually, Malcom McLean changed shipping. This is the story into how it happened. Read if you’re interested in: How the creation of a metal box can change major world ports, power the rise of Asian manufacturing and flatten the world. Why this book rocks: Whether you focus on ocean, air, truck, barge or rail freight, it’s probably a steam engine that’s making it all work. This fascinating book tries to identify the intellectual journey that went into investing the steam engine, both in terms of the intellectual property but also the historical context – the Industrial Revolution – and the industries that drive (hah!) the steam engine’s adaption. 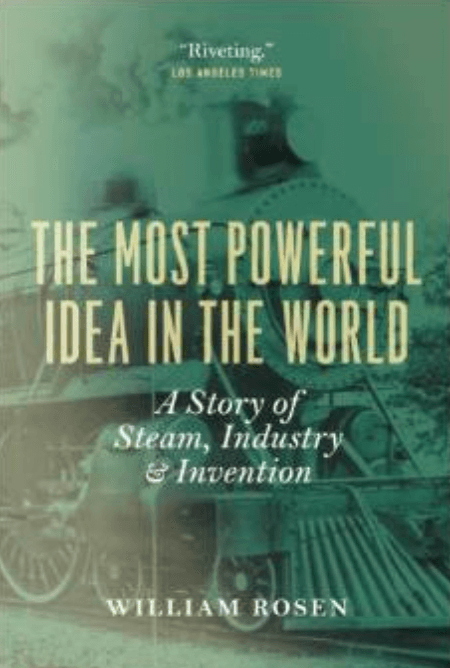 Read if you’re interested in: How ideas take form…and how things that we take for granted today, like the steam engine, developed and changed the world. Why this book rock: Navigation was nearly impossible for thousands of years due to the inability of navigators to accurately identify East-West positions. It took one brilliant man, John Harrison, to create a perfect timekeeper that would work on the high seas, succeeding where Newton had failed. This is the story of the man who managed to harness timekeeping to open up the world’s trade lanes. 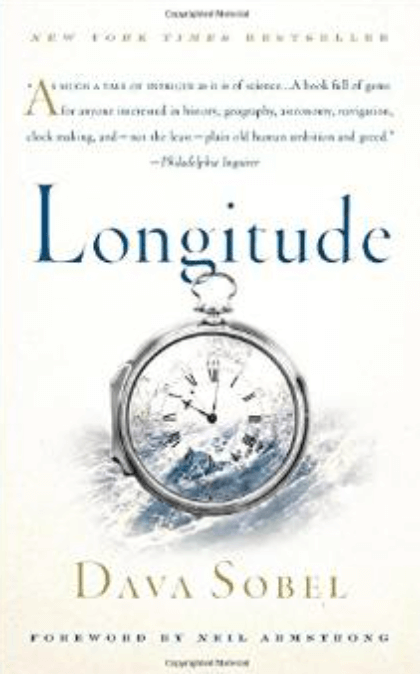 Read if you’re interested in: That crazy intersection of shipping, history, timekeeping and science. Or if you if you feel like time is ticking away and you need to know how fast it actually is. 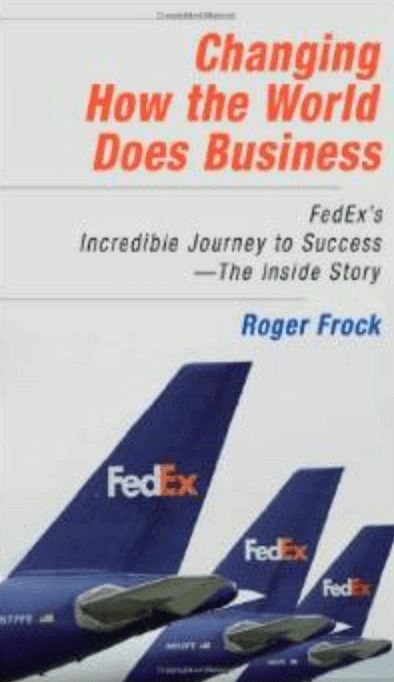 Why this book rocks: FedEx is a force to reckoned with, connecting businesses and people with a fleet of airplanes and trucks. Fred Smith, FedEx’s founder, actually gambled FedEx’s last pennies to keep the company up, with pilots filling planes with their own credit cards. This story, written by someone with the company from the start, is a great view into innovation, grit and perseverance. Read if you’re interested in: The growth of express shipping…and how a core group of dedicated founders can tip the scales of success and help grow a killer logistics company. 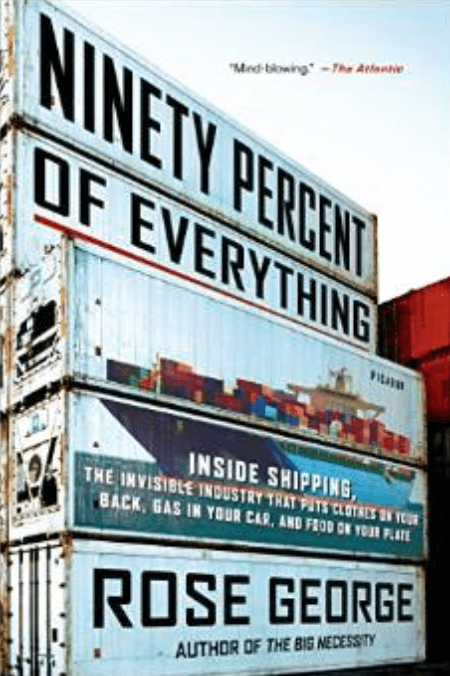 Why this book rocks: Logistics aren’t an ecosystem unto themselves. They drive powerful supply chains. 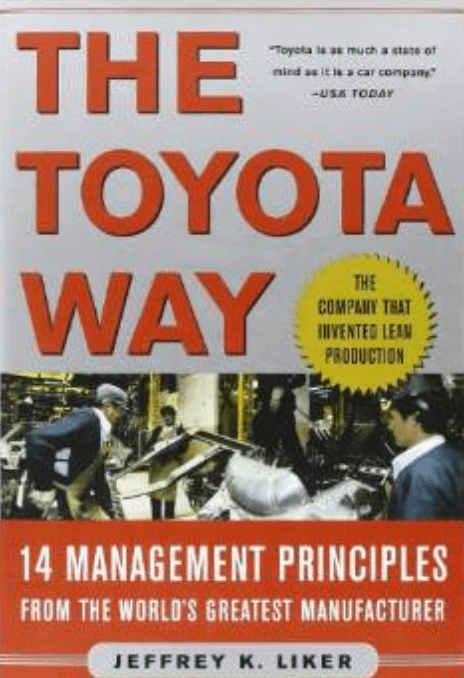 And Toyota had a huge impact on improving manufacturing processes. Ever hear of Lean Manufacturing? That’s Toyota. Read if you’re interested in: 14 actually helpful tips for how manufacturing processes can be improved…and how logistics can play a critical role in making it happen. Why this book rocks: Because Walmart is the biggest importer in the US. One key driver of the company’s success is the huge supply chain that drives Walmart growth. 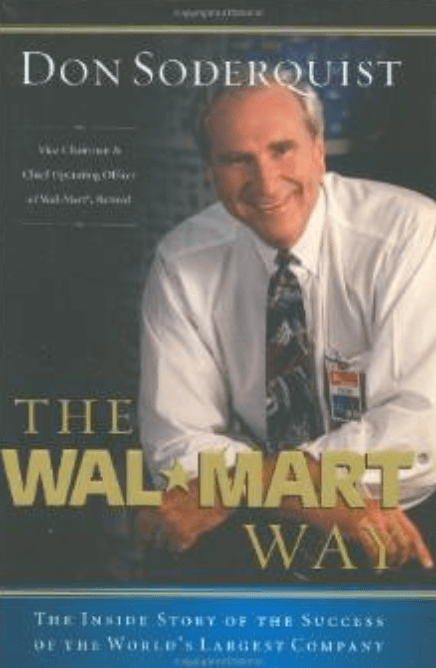 The author, the former vice chairman and COO of Walmart, knows a thing or two about business success and shares is, focusing on Walton’s vision but also on the internal technology and efficient processes that drove success. Read this if you’re interested in: A great case study of a growing company that thrived on global imports and more efficient internal processes. 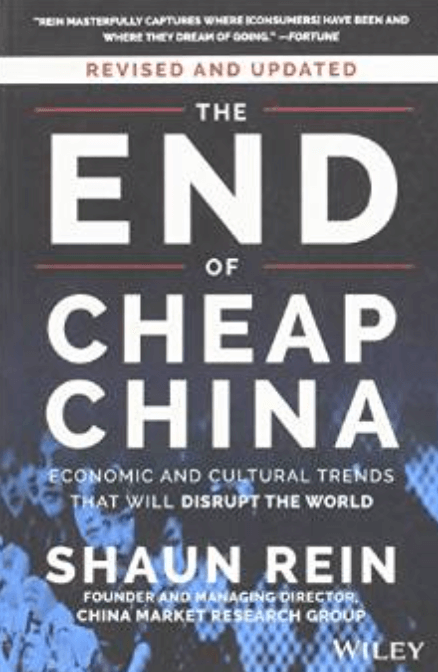 Why this book rocks: In 2013, China exported $2.2 trillion dollars worth of goods. The country has become synonymous with exports. But raising costs, better working conditions and more qualified workers in China are tipping the skills, forcing reassessments that are driving trends like reshoring or near-shoring. Read this if you’re interested in: What the important freight shipping origins and destinations of the future will be. 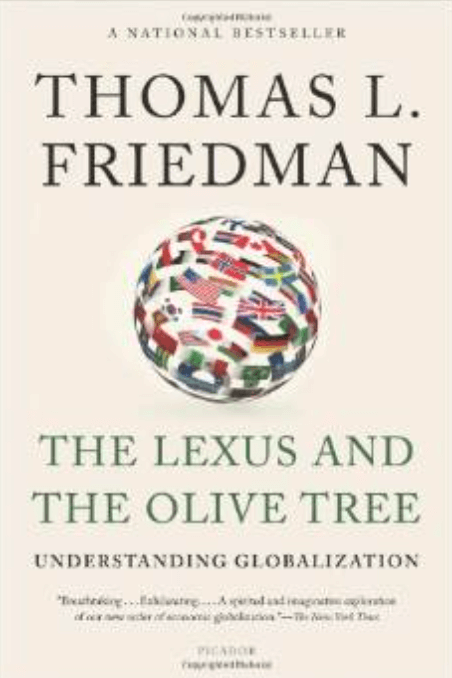 Why this book rocks: Friedman, a New York times columnist, breaks down why the world is smaller and how technology, integration and the free-market drives globalization. Which so happens to drive global supply chains. Read this if you’re interested in: The theory behind why more goods are being shipped every year, as technology improves and regional differences decrease. Why this book rocks: This book wasn’t on my original list but it made it on the new edition. 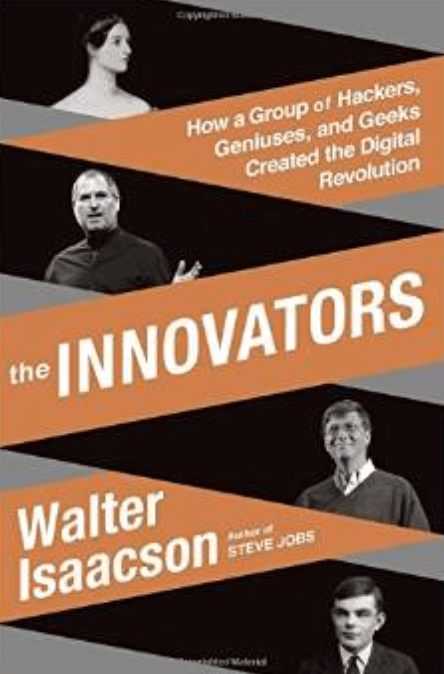 This books breaks down patterns and talents shared by the innovators who drove the digital revolution, including Steve Jobs to Alan Turing, Bill Gates and others. Freight moved around the world moves so much more efficiently when data moves between supply chain components better. Read this if you’re interested in: How digital supply chains, including EDI, XML and supply chain automation is more than possible; it’s obligatory. 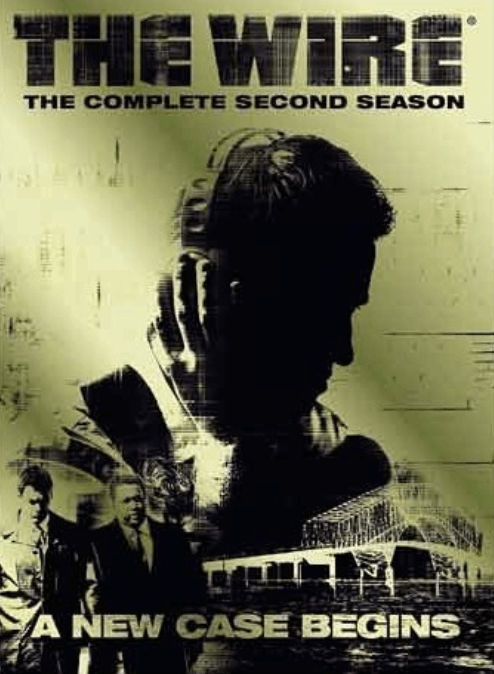 The Wire is an incredible TV show, following the drug ecosystem in urban Baltimore and the police officers tasked with bringing it into check. And season two is all about the Port of Baltimore. When you speak to non-logistics friends, there’s a good chance the only they will be able to relate to it is by talking about the stacked containers and corruption at the port. That’s it! Feel like we missed something? Drop us a line on Twitter (@freightos) or LinkedIn to let us know!